Two giants of improv comedy bring their hilarious hi-wire act to the Power Center. 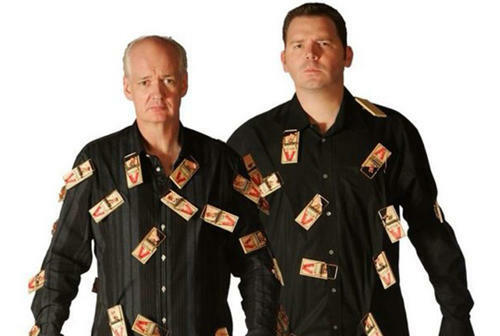 Flexing nothing but their sharp wit, Colin Mochrie and Brad Sherwood of Whose Line Is It Anyway? will create hilarious and original scenes from audience suggestions and participation, even inviting members up on stage to add an extra element of the unexpected. Just like a live version of Whose Line, get ready for a night of non-stop laughter for all ages!